The goal of this project was to achieve maximal functionality in minimal square footage. This apartment has one of the tightest kitchens we have ever experienced. 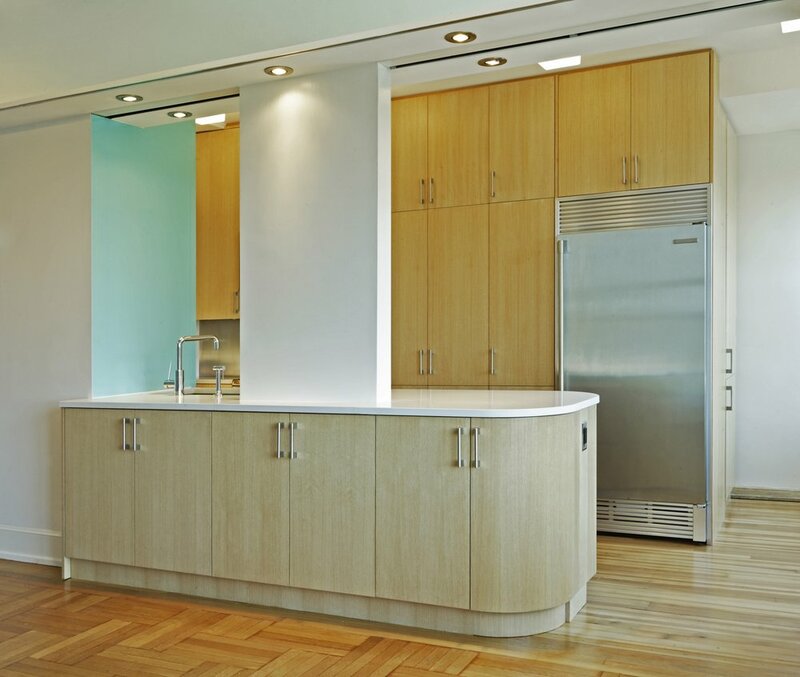 The challenge was not only to create a highly functional chef’s kitchen in the available space, but to also to make the kitchen and its adjacent living space feel as spacious as possible. Additionally, the client requested the ability to screen the kitchen off from the main living space; mechanized roll shades were used to achieve this separation. Storage space was maximized and a portion of the cabinetry on the rear wall was designed to be moveable to provide access to an existing service door behind it.